You can now help your cat deal with hairrball formation. When your cat licks his fur/hair, Hairballs are then formed in his stomuch. 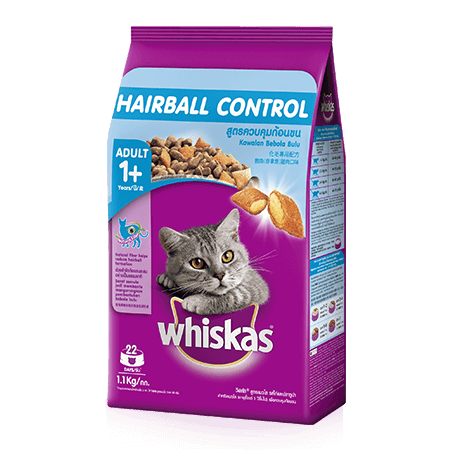 Feed him with WHISKAS Hairball Control that contains natural fiber from sugar beet. It helps to move the hairball throught your cat's gastrointestinal tract naturally. Available in 450g, 1.1kg and 3kg.